Home/Uncategorized/Is Credit Karma The Real Deal? A credit score is an analysis and evaluation of your credit. This is what determins if your score compares with what other creditors are looking for when you apply as an applicant to rent an apartment, purchase an apartment – whether it be through a realtor or a bank – or both. Additionally, good credit is important when applying for new credit cards or when trying to further your own credit and purchase more credit cards. Credit card debt is a very serious issue and something that many Americans suffer with. It was reported earlier in this year that $1 trillon of credit card debt is a looming dark cloud among Americans making it harder for many to own a home, purchase a car and so forth, hindering them from the American Dream that they moved here for or were promised going up. When someone borrows money their borrower’s credit report is updated. This happens any time said borrower makes an on-time payment or does not make a payment on time. There are five essential factors that come into play when it comes to analysis of credit card scores that Credit Karma uses and that all companies creating credit scores use. Payment history is essential; if you are a customer who has generally made payments on time over the years, this will automatically put you in line to have a better credit card score than other customers or fellow borrower’s applying for the same loan. This counts for 35% of a given credit card score. The amount you owe accounts for the second most important number when it comes to analyzing credit card scores, in a pie chart, this would be 30% of the given score. At half of this percentage, coming in at 15% is the longevity of your credit card score. This score is inclusive of how long a person’s credit card history dates back. This begins the first time a customer used a credit card and ranges to the present day and is inclusive of however many credit cards a given customer uses or has used during this time. Lesser important, but still important is 10% of the score which accounts for the score and means the analysis of the types of credit cards a customer uses. This is a mix of the installment credit, like car loans and mortgage loands in addition to the revolving credit which means all credit cards used. People who have multiple credit card scores are the last 10% of the pie chart, i.e. opening a new account. Credit Karma is a website which provides credit cards for free. Credit Karma boasts on its websites the offerings of credit reports which are simple to read with color-coded graphs – red being 300 to about 620 – signifying the red zone, or a credit score that you wish you did not wake up to. The range of 640 to 700 is yellow which is in between red and green (good). This means your credit is decent, but banks whom you are going to for a mortgage will not put you first in line. The green range means you have a good credit score, somewhere from 700 to 850. Obviously the lower in the range is good and the higher is better. Their new app also has an easy to use interface which will show you if you have gone up or down recently. Since the business models relies on being a for-profit business by receiving money from banks, having you as the customer consistently return to the website is their perogative because they want you to improve your credit score by using the services of their partners. FICO is the best known credit card score company, but they do not actually collect your information. FICO creates a score by using the three main credit reporting bureaus of TransUnion, Equifax and Experian. Contrastingly, what Credit Karma does is uses VantageScore, but in its own way. Credit Karma was built to help the average person gain knowledge of their credit score and to understand simply why it is going up or down. They provide their users with knowledge that can help its customers pay bills on time and ideally, never reach a point, when they will get into a point in their lives when they face debt collectors, which is really the most dreaded part of being in credit card debt. Many Americans are well aware of this in our lifetime from the recent Real Estate boom and events like this have been happening throughout history because of credit card bubbles bursting. 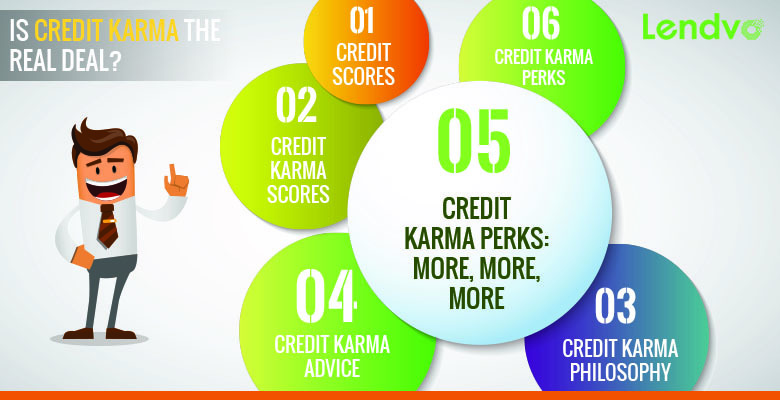 Credit Karma prides itself on being there for the average American to help them use the important resources in front of them and allowing them to conduct business with knowledge of their score, spending power and knowing whom they need to pay first and foremost, whether it be a mortgage or credit card bill, in order to keep their credit card score in the best standing possible. In addition to providing free credit scores, creating reports and monitoring all of your acounts, Credit Karma uses both TransUnion and Equifax to provide updates to all of its customers weekly so you can see whether your credit score is rising or falling based on charges you are making to your variety of credit cards. Additionally, Credit Karma seeks to improve its customers’ credit card helth by using the data it analyzes from companies giving it credit scores to analayze that data then creating a credit profile for each of its customers and making cuztomizable recommendations based on its analysis to ideally help improve the credit card scores of its customers. Credit Karma is trustworthy and we know they don’t want to collect a profit from their customers, but rather from the banks and lenders that have partnerships with them. When customers make a purchase from a bank or lender Credit Karma works with, then Credit Karma makes a profit, making them work as a for-profit business. Credit Karma caters its offers based on its customers, including debt relief, savings and rewards efforts, making sure they are right for their customers so that they save money and you receive the best value for what your money needs at that time. Credit Karma is our favorite company to recommend to our customers for credit card scores and assistance because of their ability to constantly improve. Their website is sleek, easy to use and offers countless articles in addition to analysis to help its customers better understand the world of credit cards. It is beneficial to educate yourself on the credit card world you are a part of before you get involved and/or while you are in it to better understand how to move forward. When it comes to moving forward, Credit Karma also offers educational offers and tools to help customers, which they have over 60 million of. Their tools include a ‘Credit Score Simulator’ which helps answer customers questions about ‘What Ifs’ situations by analyzing how potential purchases will effect your credit score based on your credit card situation personally and the purchase power you have when making a purchase of a car, home, renting an apartment or whatever your next purchase may be. This can help sample your score, analyz purchase power on getting a new loan, transferring balances to a new card, seeing why credit card applications were denied, closing a credit card or increasing limit on another. The ‘Debt Repayment Calculator’ is another tool Credit Karma offers that will analyze the amount of time in which it will take to pay off any customer’s given credit card debt no maatter the amount allowing you to choose from making the minmum payment, fixed amount or setting a goal for when you aim to be debt free. They also offer ‘Additional Debt Repayment Information’ with a balance, interest rate, expected monthly payment and the expected payoff time you should expect. Their repayment chart shows principal and interest payments to expect based on goals and allotted time of payoff that suits your needs. Another offering is the ‘Amoritzation Calculator’ which calculates your debt over time and the reduction of your debt then how this will be displayed based on your payment breakdown with the inclusion of the debts you will be paying with interest, principal payments and loan balances. The loan amount, interest rate and bumber of years make up this calculator to give you the value necessary. Base Calculations within this calculation are Monthly Principal & Interest, Number of Payments, Total Payments and Original Loan Amount; by calculating these amounts, you will receive a Loan Amortization Chart and a Principal Payment Chart that will explain to you the best payment methods to decrease your debt over time. The ‘Simple Loan Calculator’ has a great use which is to in the most easy-to-use format, to come up with numbers for its customers based on estimated payments depending on a variety of loan amounts, interest rates and terms. This is exactly what makes up the calculator: loan amount, interest rate and number of years to give you the final number based on the payments you intend to make in the future. Your monthly payments allow for the base calculations of loan amount, interest rates, number of years and the monthly payments, putting them all together. In addition to offering a variety of articles in relation to Credit Card Karma, there is also an entire section which offers relevant information to work hand-in-hand with the financial tools that they offer on the website. Advice offered on the website includes analyzing state trends and age treands of other credit card users in your area which will help you to see and understand where exactly you stand in the credit card market against other potential purchasers of home, land, automobiles and so forth. In addition to credit trends by age and state, Credit Karma offers information on interest rate trends which will help you understand where we are historically with the mortgage and auto industries so you can evaluate if now is a good time to buy or invvest in a product like a home, care or new line of credit. For example if interest rates are low, it may be a good time to make an investment because these rates may be higher in a year or two. We also recommend taking a look at the domain trends they offer on credit card customers because this will help you understand where you stand with credit card information in the cyberworld. Other helpful information provided in the advice section on the friendly Credit Card advice section ranges form recommendations of credit cards, to credit scores, reports, automobile recommendation and information, they can help with paying your bills, retirement recommendations, how to save your money. As if they stopped here, a burdening problem for Americans is student loands and Credit Karma has an entire section featuring student loands to help folks start early or parents plan ahead to put themselves in a better position in the future. Site suggestions include bloggers and Credit Karma users advising of scams out there as well as proposing websits that may be helpful to fellow customers based on past posts. A section we have found really helpful is their saving money section which can help the average personon a daily and regular basis. This is something we all need! At the end of the day, we recommend checking out other credit card companies and services to evaluate your credit card health, but the truth of the matter is we think Credit Karma does a better job than any company out there at providing an adequate number when it comes to your relevant credit card score while it also acts honestly with its customers, not only putting its partners first even though it has a for-profit business model.